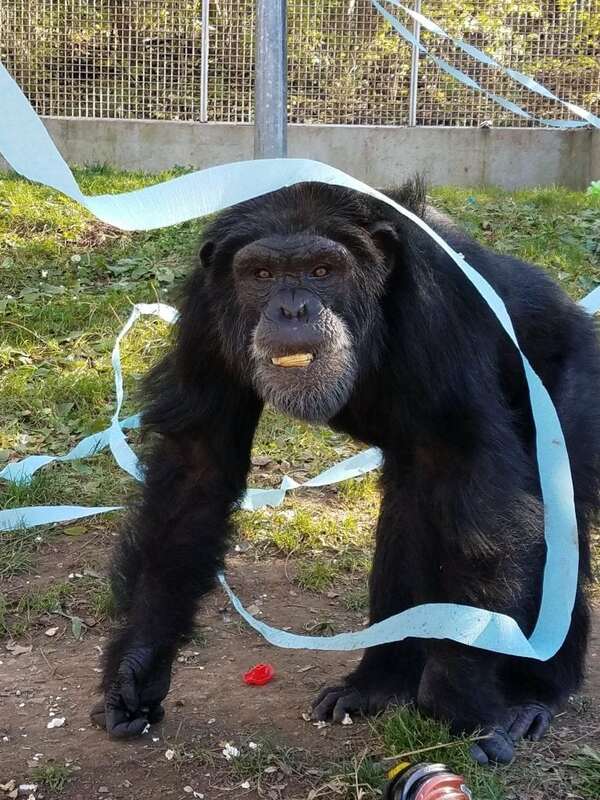 It’s that time again – Chimpmas is right around the corner! 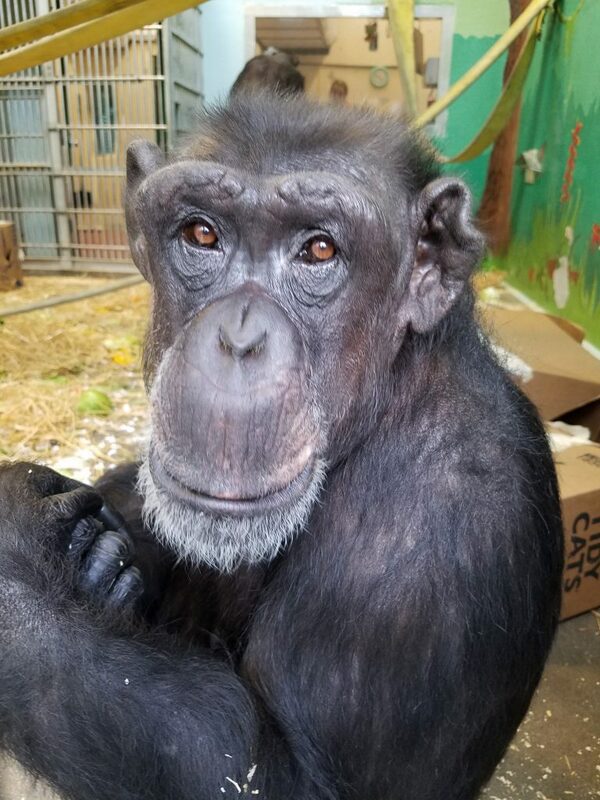 All of the chimps sat down to make their Chimpmas lists and they are so excited to share their requests with you! 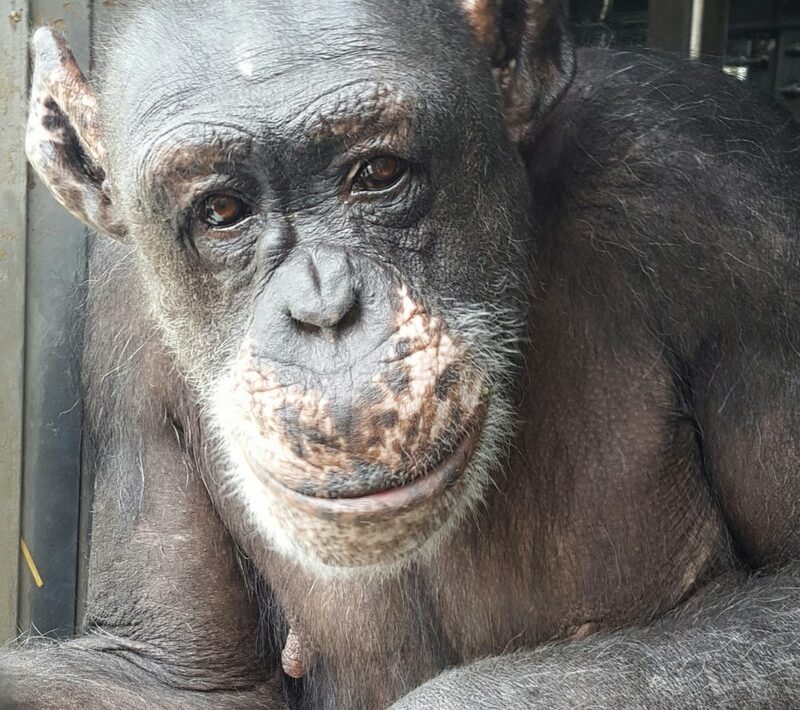 We will be sharing each chimps’ wish on our social media pages but here is the complete list for you to enjoy! 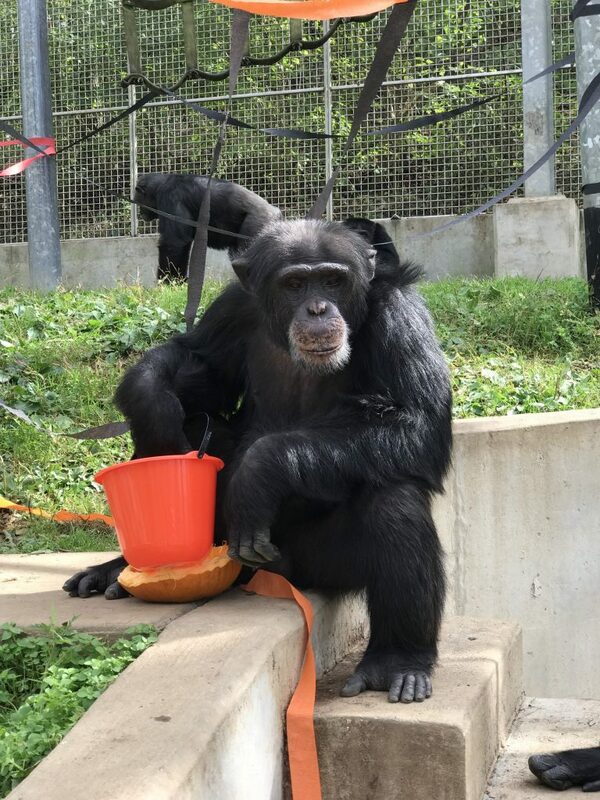 Donald: Coconuts – Donald is the alpha male and the largest chimp in the group, so he is great at using his strength to break open a coconut! He throws them against the wall or onto the floor to crack them open and then he enjoys the deliciousness inside! You can find Donald’s gift here. Zulu: Pillow Pets – Zulu loves snuggling with stuffed animals and using them as pillows in her nests, so she is sure to love a Pillow Pet for her winter naps! 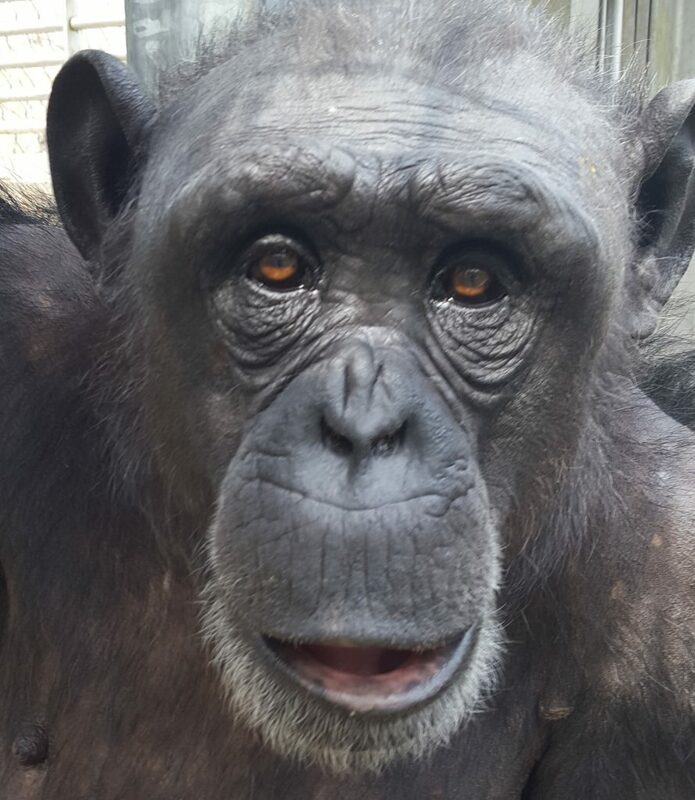 You can bring Zulu lots of cheer by purchasing her gift here. Victoria: Nesting Pads – Victoria loves making nests, especially during the cold winter months. 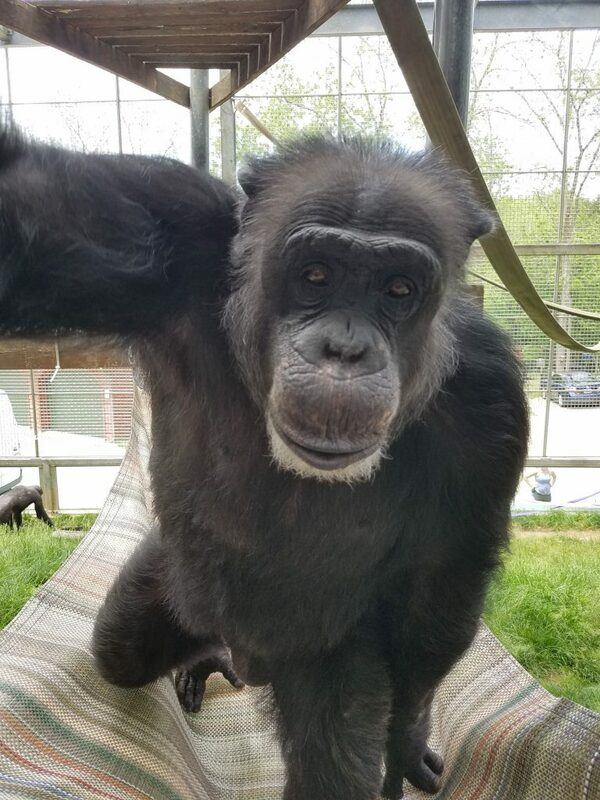 Some nesting pads were donated to the sanctuary awhile back and Vicky loved sitting on them and using them in her nest! You can find Vicky’s gift here. Rodney: Paint Supplies – Rodney loves to paint, and gets so excited when he sees his caregivers getting the paint supplies ready! He wants to make sure that he will have lots of paint to keep him entertained during the winter when he spends more time inside. You can find Rodney’s gifts here. Noelle: Tall Rain Boots – Noelle is a true fashionista! 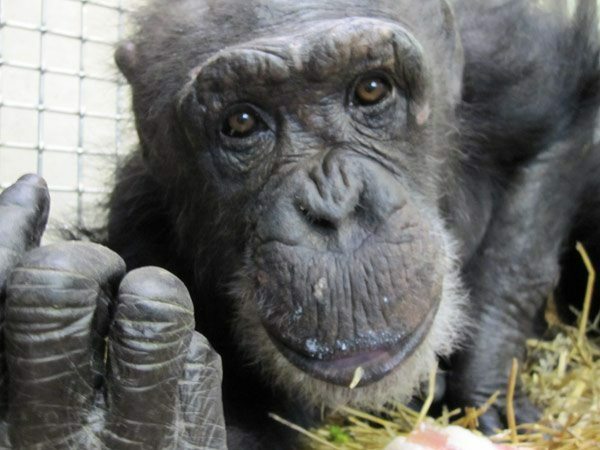 She often asks her caregivers to show her their shoes and if given shoes for enrichment, she will carry them around for days. These rain boots are guaranteed to make it a happy holiday for Noelle! You can find Noelle’s gift here. Cory: Lowe’s Gift Card – Cory had a hard time choosing a gift this year. He loves figuring out puzzles and games and his caregivers are always coming up with new enrichment items to keep him entertained. 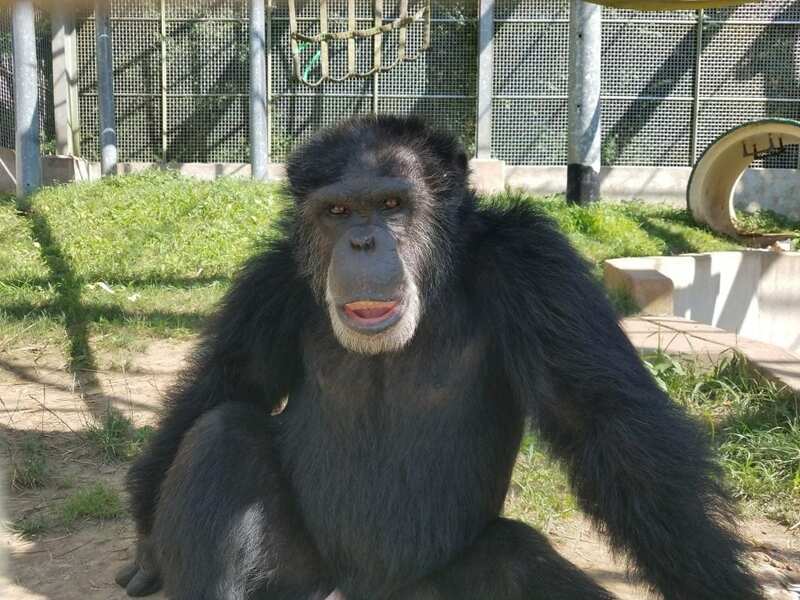 Cory decided to ask for a gift card to Lowe’s so that his caregivers could purchase new materials and supplies to make him some new and exciting enrichment items! You can find Cory’s gift here. Martina: Essential Oils – Martina really enjoys having a drop or two of relaxing essential oils added to her stuffed animals and blankets. She also really enjoys the comforting aroma of essential oils diffused as she settles into her nest at night. She would love some new scents to add to her collection! You can find Martina’s gift here. Ike: Jolly Balls – Ike loves playing with balls and will often carry a ball around with him all day trying to get someone to play with him! Jolly balls are some of his favorites and are durable enough to make it through a rough game of catch! You can find Ike’s gift here. Jenny: Wrapping Paper – Jenny loves playing with paper and using it to make her bed. When her caregivers give her long sheets of wrapping paper she loves to roll around in it and wrap it around herself like a blanket. You can find Jenny’s gift here. 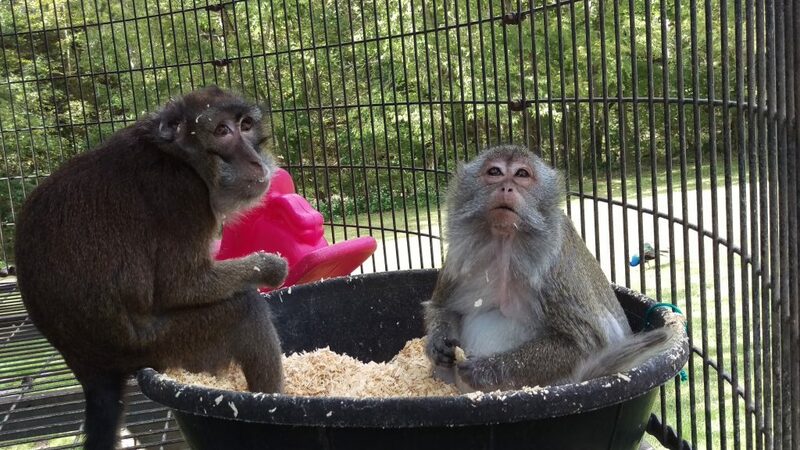 Even though it’s “Chimpmas” we don’t want to forget about our monkey friends! All of the monkeys got together and decided to ask for one of their favorite treats to forage for in their shavings tubs – mixed nuts! You can find their gift here. 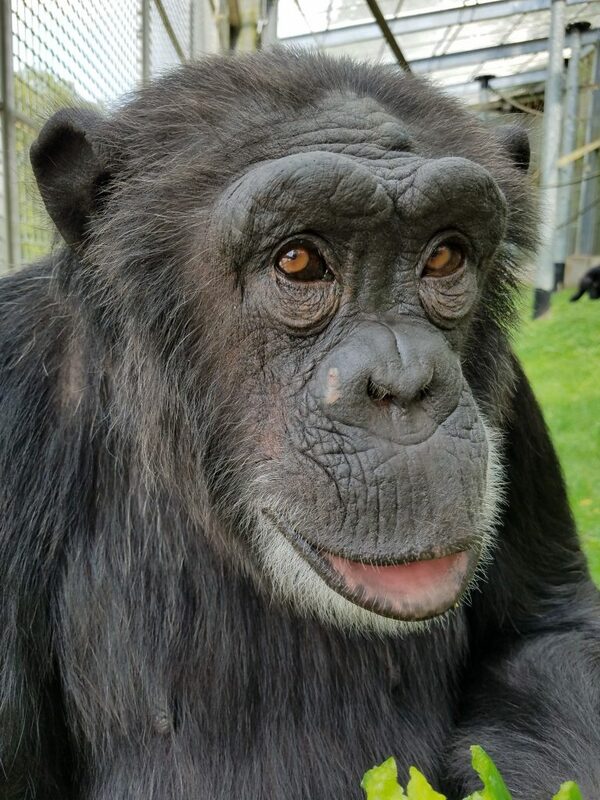 And there you have it – the 2018 PRC Chimpmas list! 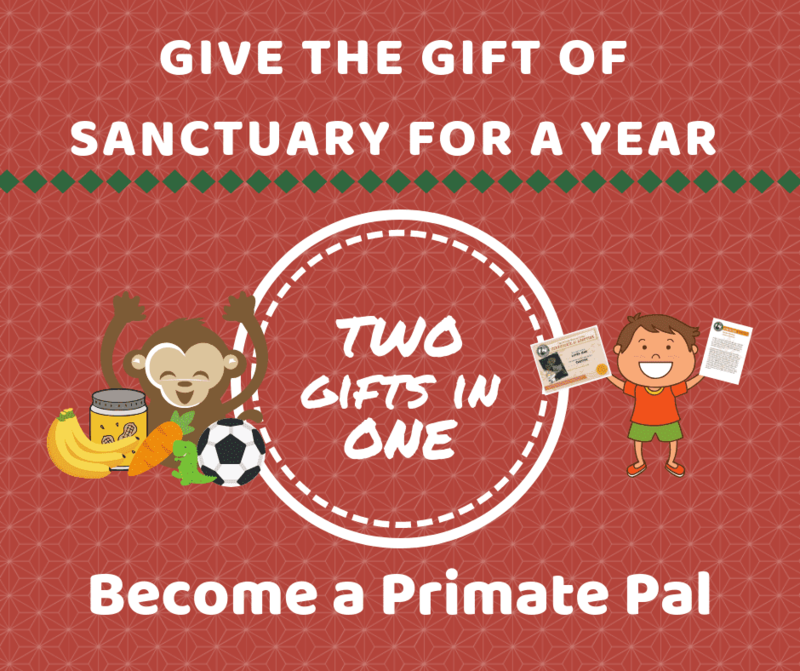 As you are shopping for everyone on your list, don’t forget that adopting a primate through our Primate Pals program is a great gift idea! Each adoption package includes a photo and certificate, as well as a family membership and periodic updates about your new pal! You can pick out a Primate Pal here and choose to either make a one-time payment of $150 for the year or pay in monthly installments. We hope the holiday season brings you joy! 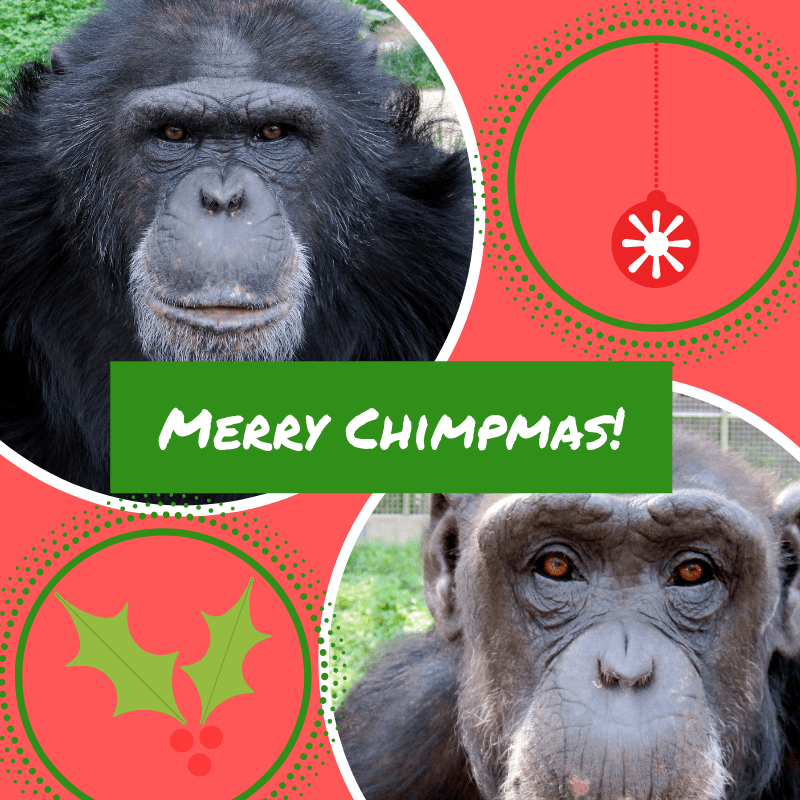 Merry Chimpmas from all us primates at the PRC!